location: It is a 20-minute drive from Paris It is located in the centre of Torcy, just a 15-minute drive from Disneyland® Paris. There is a bus stop 'Jacques Prevert' just 4 minutes walk from the walk. Torcy RER station is just 10minutes by local bus. Shopping Centres Bay 1 and Bay 2 are located close by. 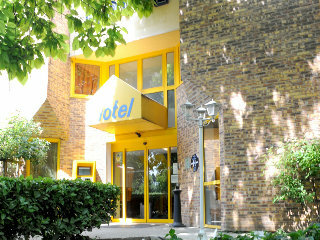 rooms: Balladins Torcy offers sound proofed rooms with free WiFi internet access and TVs with satellite channels.. 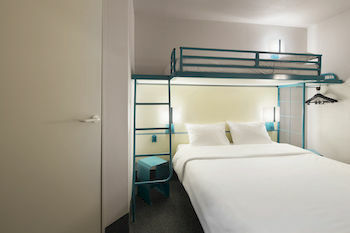 Please note that triple and quadruple rooms are configured as follow: double + extra beds. 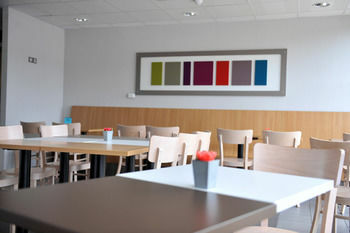 restaurant: The breakfast room has been entirely refurbished. 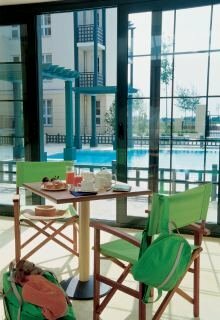 At Balladins Torcy, guests can enjoy a daily buffet breakfast exterior: This is a traditional building. lobby: This accommodation has a very small lobby. general: Balladins Torcy is the perfect option for budget counscious travellers and families looking to stay close to Disneyland Paris. 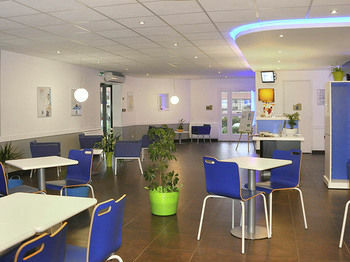 For guests coming by car, Balladins Torcy provides free private parking. 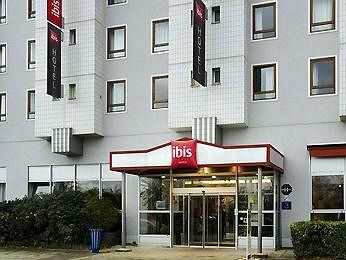 Disneyland Paris is three stops away from Torcy Station on the RER A.
location: This hotel is only located 15 minutes away from Disneyland Parks and it offers direct access to central Paris with RER A. restaurant: A continental breakfast is served daily and the Campanile Torcy Marne-La-Vallée has a bar and restaurant. exterior: This is a modern building. 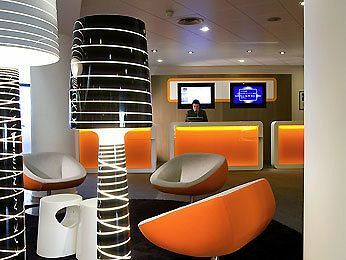 lobby: This accommodation has a large lobby. general: . pleasenote: City tax has to be paid on the spot. (1,32 ? per person per night) Triple room: Double bed with extra bed and only avaialable for 2 adults and 1 child maximum. 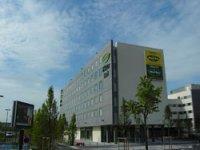 This air-conditioned, 3-storey hotel was opened in 2003, renovated in 2012, and comprises a total of 97 rooms. Facilities include an inviting foyer with a 24-hour reception desk, a newspaper stand and a bar in addition to an air-conditioned à la carte restaurant, a dining room and a conference room. A laundry service may be taken advantage of and younger guests may let off steam in the playground. Those arriving by car may make use of the car park. 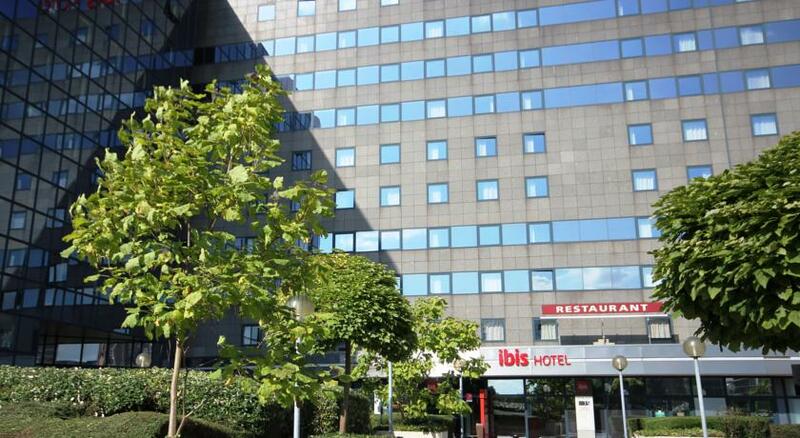 Property Desc:Property Location Located in Torcy, APPARTHOTEL Torcy is in a shopping district, a 3-minute drive from Bay 2 and 7 minutes from Centrex. This residence is 1.8 mi (2.9 km) from La Ferme du Buisson.Rooms Make yourself at home in one of the 120 guestrooms, featuring kitchenettes with refrigerators and stovetops. 17-inch flat-screen televisions with digital programming provide entertainment, while complimentary wireless Internet access keeps you connected. Conveniences include desks and microwaves, and housekeeping is provided daily.Amenities Make use of convenient amenities, which include complimentary wireless Internet access and a television in a common area.Dining Continental breakfasts are available daily from 6:30 AM to 10 AM for a fee.Business, Other Amenities Featured amenities include a 24-hour front desk, multilingual staff, and luggage storage. Free self parking is available onsite.Room Info:Know Before You Go Guests can arrange to bring pets by contacting the property directly, using the contact information on the booking confirmation (surcharges apply and can be found in the Fees section). Fees The following fees and deposits are charged by the property at time of service, check-in, or check-out. Fee for continental breakfast: EUR 8 per person (approximately) Pet fee: EUR 5 per pet, per night The above list may not be comprehensive. Fees and deposits may not include tax and are subject to change. Mandatory Fees and Taxes You`ll be asked to pay the following charges at the property: Breakage deposit: EUR 90 per stayA tax is imposed by the city: EUR 1.48 per person, per night. This tax does not apply to children under 18 years of age. location: The hotel is a 5-minute walk from RER A line, 9.3 miles (15 km) from Paris and 12.4 miles (20 km) from Disneyland on the A4 highway. rooms: A functional and comfortable room, perfect for work or relaxation, with bedding, duvet, large desk, Internet, TV with all the main channels and a pleasant bathroom. restaurant: There is a restaurant and a bar at the hotel. exterior: Modern lobby: Medium - 2 groups pleasenote: The city tax is already included. 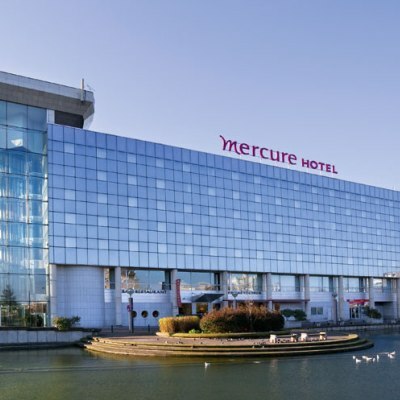 location: The hotel is situated in the eastern suburbs of Paris.The easiest way to reach the hotel from central Paris is to take RER A to "Noisy le Grand" station (20 minutes), and then to access the hotel via the shopping centre (5 minutes walk). The district is lively with its huge shopping centre, fitness club, bowling and cinemas. 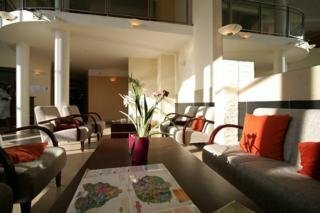 rooms: They are large in size and in very good condition. 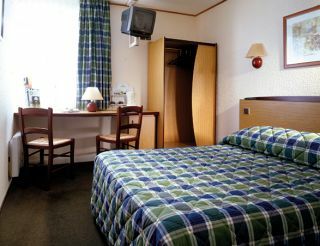 Rooms and bathrooms are well equipped and air-conditioned. The decor is sober and refined in style. 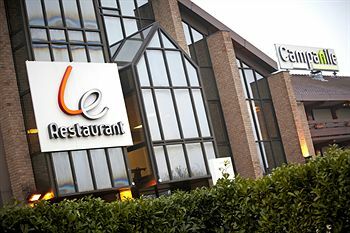 restaurant: "Les Meteores" can accommodate 80 persons. 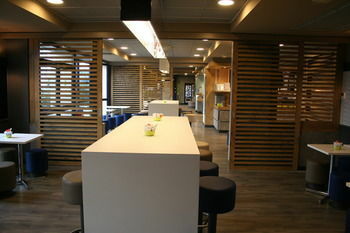 Here, efficient staff serve a fine French cuisine in a bright decor. The restaurant is closed on Saturdays and Sundays. exterior: The hotel is a huge building very modern in style. lobby: It is very large in size and leads directly to the bar where guests can relax listening to jazz or classical music. Each public area is modernly decorated and welcoming. general: This 3 star first class property is suitable for all types of clients as the RER train links give direct access to Paris (20 minutes) as well as to the Euro Disney resort (15 minutes). (0309FP). Page rendered in 0.4083 seconds using 2.19 MB (6 MB) of memory.